In honor of Father's Day, here is a short piece from the Daily Om on the importance of honoring fathers for their work and support. As this article suggests, "The process of reconciling the ideal father that resides in our minds with the father that we actually have is a fertile one that can teach us a great deal about ourselves." This has been very true in my life. I feared and idolized my father while he lived. After he died (I was 13), I held onto the idealization (maybe I needed to) but repressed or denied the fear I so often felt and the oppressiveness of his authoritarian behavior. It wasn't until more 10-15 years after his death that I was able to begin seeing my father as a flawed human being who lived with some serious wounding. After a few decades and a lot of therapy, I understand who my father was and how he became the man who sired me. And I understand and honor that many of the things he did when I was a child had nothing to do with me, but were about his own pain, his fear, and his wounding. The work it took to get to this place regarding my father is part of why I became a therapist, and informs my understanding of how cold, authoritarian parents can deeply wound their childen. In a time when the sacred feminine is being honored strongly, let's not forget fathers. The idea of fatherhood is both personal and universal. We all have ideal concepts surrounding fatherhood, and we also have our real fathers—fathers who were there or not there for us, fathers who provided financial support for our families or failed to do so, fathers who loved or neglected us, fathers who were our role models or gave us someone to rebel against. Our father may have been there for us sometimes and not there for us at other times. The process of reconciling the ideal father that resides in our minds with the father that we actually have is a fertile one that can teach us a great deal about ourselves. Our relationship with our father will often affect our relationships with the other men who will come into our lives. You may have learned to behave and think in certain ways because those were the ways that your father acted and thought. Certain talents that you possess may have been passed down to you by your father. There also may be personal issues that you inherited by virtue of who your father is. Understanding how your relationship with your father has influenced you can help you better understand yourself and the life that you have created. In a time when mothers, the sacred feminine, and female energy are being honored, it is important not to forget the importance of fathers. Father energy and mother energy are the two complementary energies necessary to bring a healthy human being to fruition in the world. Many of the ideas surrounding fathers are changing in the wake of more modern parenting styles and the more egalitarian roles that are evolving between the sexes. More men are embodying the mother energy these days, and a woman can provide father energy for her children. 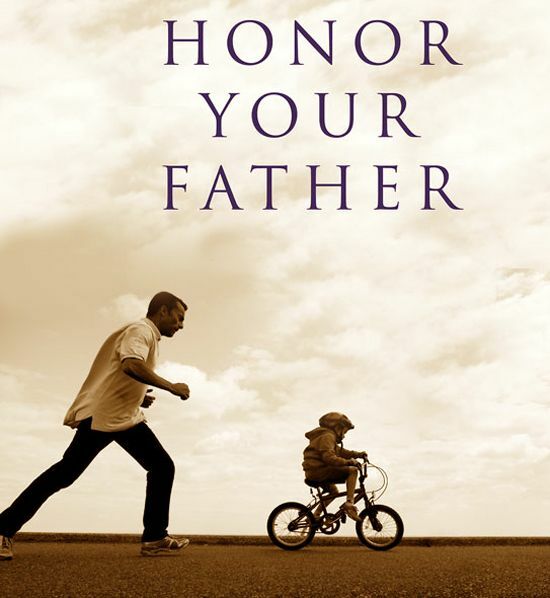 Either way, we can all benefit from thinking about our fathers and how they have influenced who we’ve become and the ways that we walk through this world. Let us remember to honor our fathers.